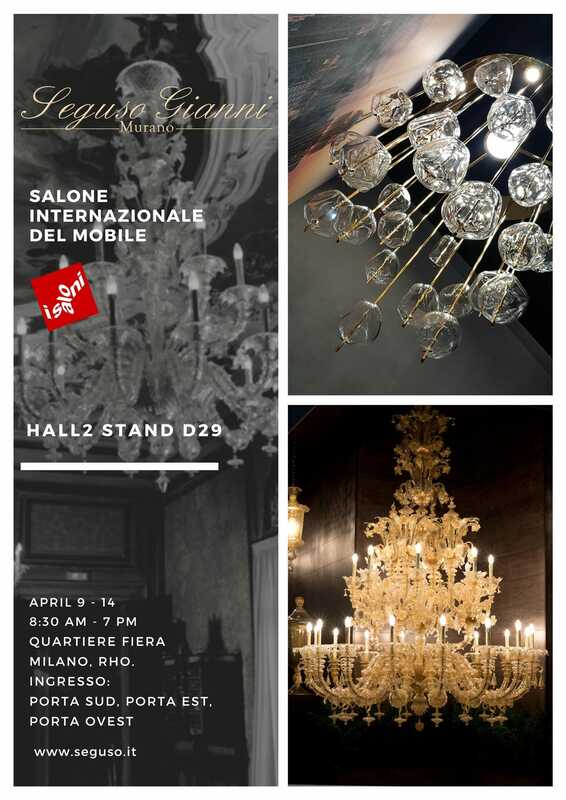 From 9 th to 14 th of April 2019 our products will be displayed at the Salone Del Mobile exposition in Milan, Italy. All our creations are guaranteed by the official "Vetro Artistico® Murano" Trademark of Origin established by the Italian law, numbered 032. Seguso Gianni invests in sustainable energy and in environmental quality.